If you go to Big Huge Labs you, too, can make one of these neat collage thingies. 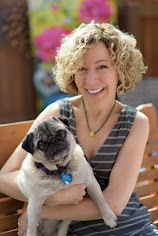 I did one of these for the pug rescue blog and have no idea why it didn't occur to me at that time to make one for the art stuff, too! What I really wanted to make was a collage where each image had an individual link - I thought it would be fun to put one image from every one of my favorite artists (yes, that's YOU!!!) with a link to each of your own web sites. This is Howie's friend Pearl. Howie loves Pearl because she has got some jiggle in her wiggle, and she also makes art from poop. Pearl is from Edmond, Oklahoma, and recently had to face one of her biggest fears - nail clipping. 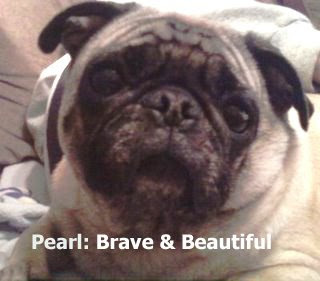 We made this badge to salute Miss Pearl for bravery. Pearl we are so proud of you cutey! This is so funny. I love the picture. I also love the art work you did into a composite..It was wonderful.. I don't know how to do this but your collage thingy is very, very beautiful indeed!! ok, I'm confused. This morning, wasn't this just a post of the lavender fields??? Where did that go? Did on of the pugs take it away? 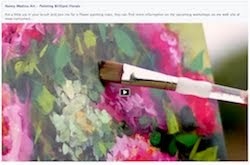 I tried commenting several times, and it never would take it, so now I see all of these wonderful pieces! They took it to a wonderful place! Lovely, lovely piece capturing my favorite fields!! 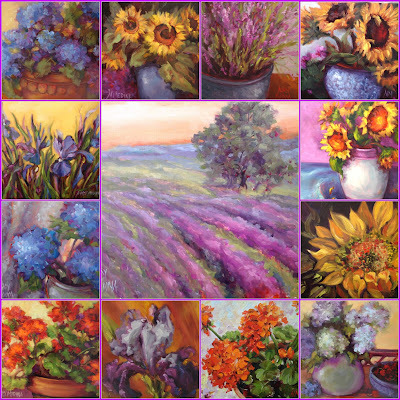 Beautiful collage, Nancy! Love seeing all your artwork together like that! 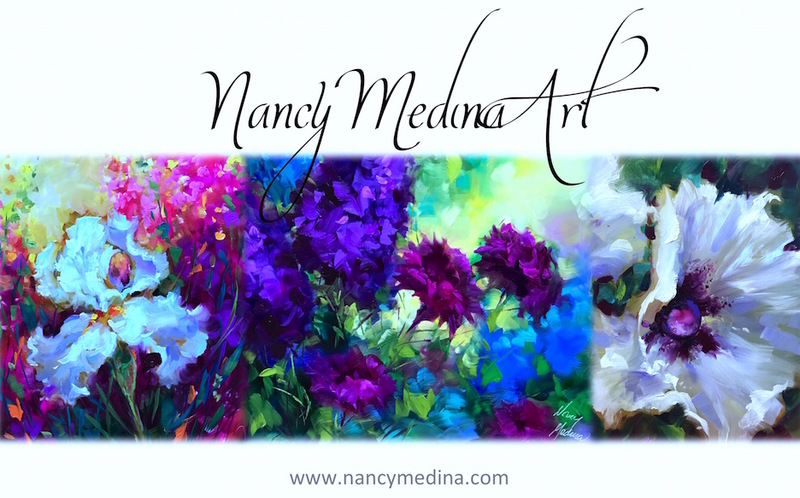 Nancy, when we come to your site, we never know what were going to see- lavender fields forever or geraniums or puggies- but we know one thing for sure - we always have a good time- and wish we knew how to be creative like you- and such a beautiful artist. We love this collegge thing- wonder if its hard to do? oh i love your collage! that is a great question on how to map links to the different boxes. i am not sure how to do that. i think expression web has mapping on images for websites, but i am not sure how to do that for a stand alone object. Beautiful collage! And Pearl is a coddled little girl - such a pretty face! Hi Auntie Nancy! Thanks for featuring my smoochable face on your art bloggie! Momma and I think you are a real talent. Your work is just divine! Give your assistants a big puggie smooch from us here in Oklahoma! MUAH!